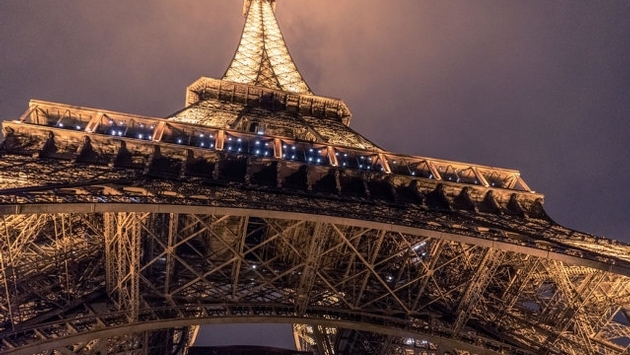 A man wielding a knife tried to forcibly bypass security at the Eiffel Tower on Saturday evening, causing police to evacuate the famed Paris monument shortly before its official closing time. The man was quickly subdued by soldiers and taken into custody, while police cleared out visitors in order to conduct a search of the entire area. French prosecutors are calling this a terrorism case. According to Reuters, the suspect told police he wanted to attack a soldier and that he’d been communicating with the Islamic State, who encouraged him to go ahead with the attack. An unidentified source told Reuters that the man has been in the care of a psychiatric facility for several months and received a temporary waiver to leave the facility for the weekend of August 4-6. The suspect was apparently also convicted last year for making death threats and “defending terrorism,” for which he was given a four-month suspended sentence. When arrested on Saturday night, the man was reportedly wearing the colors of the Paris Saint-Germain soccer team. The Eiffel Tower was lit up with team colors in celebration of the record-breaking $520 million acquisition of Brazilian star Neymar.